For the bridal party who whimsical romance the Anais Soft Pink Bridesmaid Dress is the perfect choice. 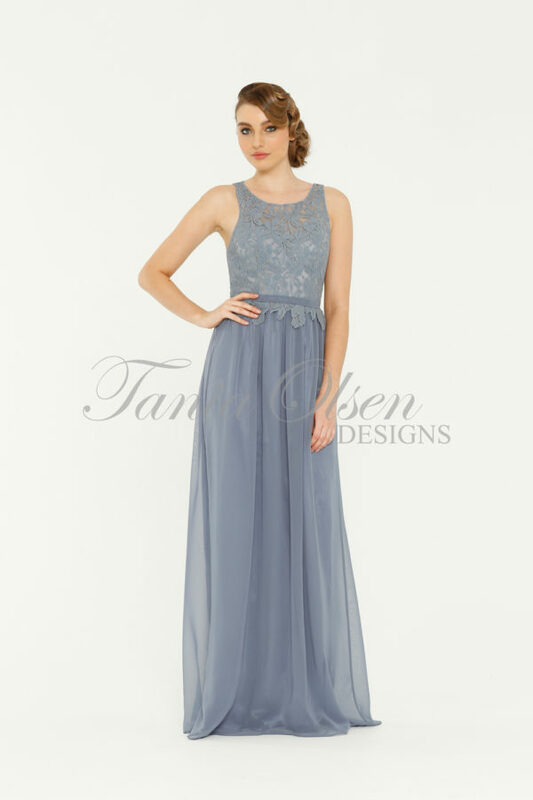 Its simple feminine design also makes is a lovely evening gown. Designed in our Australian studios, the Anais Bridesmaid Dress is the ideal gown for your destination or garden wedding. Fabricated from a soft georgette with intricate lace detailing, the Anais features an exposed back, cinched in waistline, and a floor length flowing skirt. Style the Anais with loose, tousled waves, and elegant earrings for a truly feminine look.